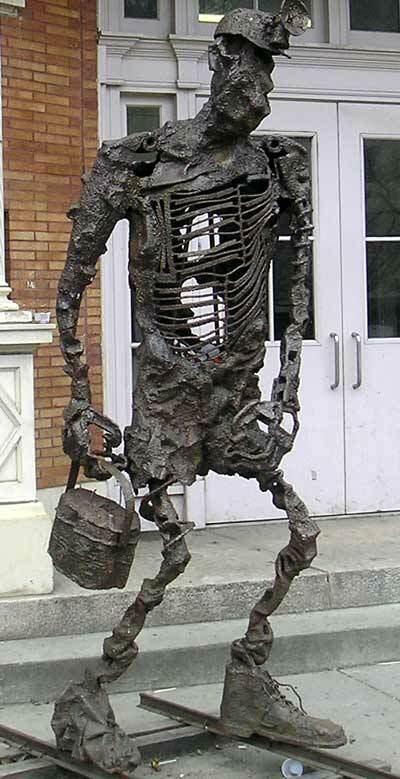 would you find this sculpture? 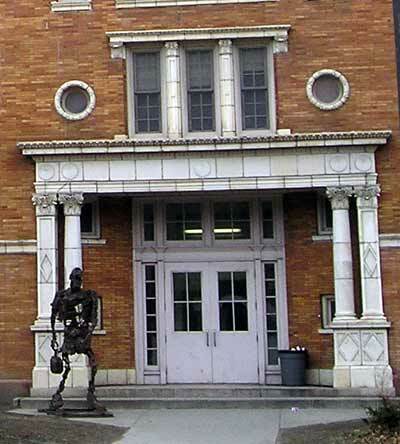 He looks like an intimidating figure to be in front of what once was a grade school. 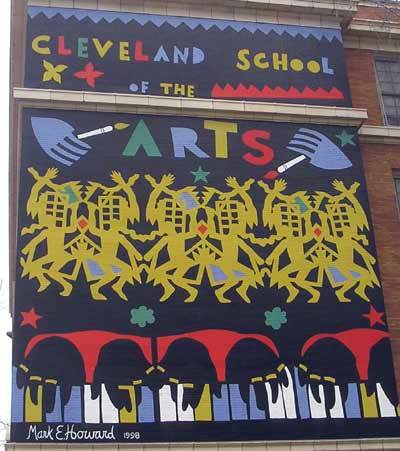 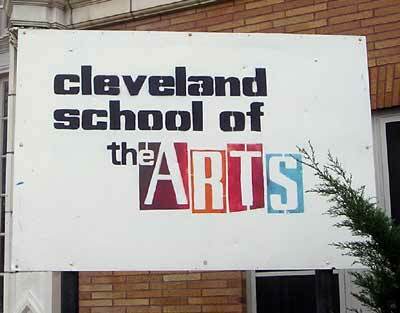 The sculpture is in front of the Cleveland School of the Arts and is just before Carnegie on Stearns past 109th.